Hill Top is a comfortable, privately positioned character bach with sweeping rural views and only 700m walk downhill to the beautiful Palm Beach. The kitchen is fully equipped for those who like to cook. Tea and Coffee will be provided. There is a hooded BBQ and outdoor dining area for entertaining. The living and dining areas are combined with a fireplace to create those cosy nights. Both bedrooms have comfy brand new pillow top Queen beds plus an extra queen futon in the sleeping nook for overnight guests. Good for couples or families and pets are welcome. Enjoy the private garden and native bird song from the resident Tui. We are centrally located to all Waiheke's attractions and amenities. There is a Cafe / Restaurant / Bar and Diary just down the hill by the beach. The Supermarket and Ostend's Saturday Markets are only 2km down the road. Bus stop only 100m away, or there is a car pad for two medium cars if you are bringing a vehicle. Taxi service NZ$20-25 from passenger ferry. Please be careful with water which is on tank. Please have short showers and don't leave taps running. It is recommended to use bottled or boiled water for drinking. Tap water is ok for washing up and cooking. Charming classic bach with all the modern conveniences you need. We enjoyed our stay. Short walk to the excellent beach and bus stop for getting around. Comfortable beds with nice linen. Well equipped kitchen. Everything we needed. Thankyou, we loved our stay in your bach. Well equipped, very private and sunny spot. Sam the dog loved the back garden and we enjoyed the cute and character filled cottage with lots of interesting fittings ( I especially liked the lights) Great view of the valley. Would love to stay again. We enjoyed our stay at Hill Top Bach. We loved the Kiwiana chic feel to the cottage - reminding us of family holidays in the 60s - with a modern flair. It had everything we needed. We were older friends and there was plenty of room so we could have space, with each having a queen size bed there were no arguments!! Would recommend to others. Lovely Bach. Beautiful views and well equipped. Really enjoyed our stay. Beautiful. Also recommend the take away souvalaki down the road at Arcadia. Amazing place to stay in, stunning views, well equipped and the fire place was amazing! Amazing place to stay in, stunning views, well equipped and the fire place was amazing! Kept us nice and cosy over a long, stormy weekend. Highly recommend! Awesome bach, comfortable & perfect for the family. Awesome bach, comfortable & perfect for the family. 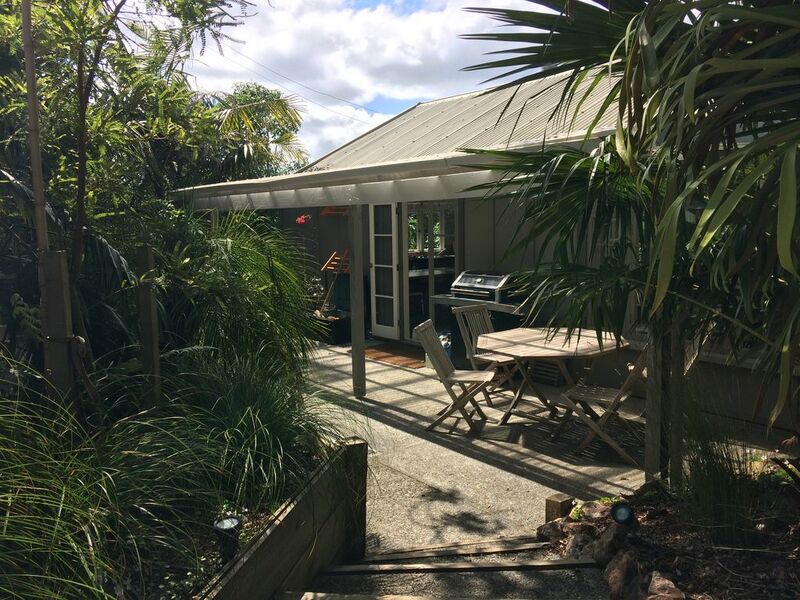 Easy to get around Waiheke with the bus stop just a short walk away!